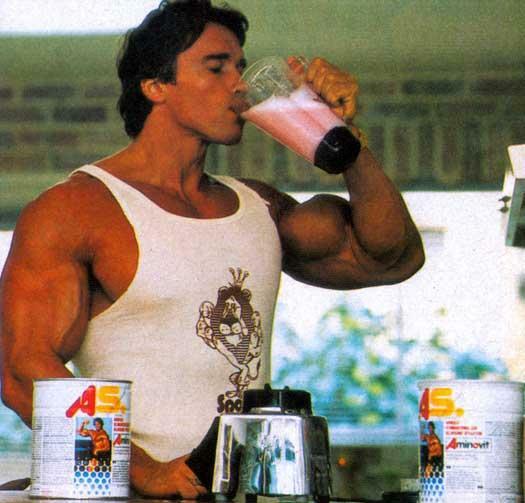 Protein powders are probably the most sold supplements and for a good reason. They offer a very affordable and convenient way to get in extra protein, especially if you have a busy schedule or are a large mammal like yours truly who has to eat a lot for them gainz. But how do you know which one works for you? The protein powder should taste good… especially if you are mixing it with water only. My rule is to stay away form any fruit flavored ones, vanilla is usually easiest to mix with almost everything. CONCENTRATES: The concentration and processing of protein in powder form can yield different compositions, based on the degree of removal of “non-protein” parts. For example, protein concentrates contain about 70-80 percent protein, with the remaining percent from carbohydrates, minerals, moisture (water), and fats. This makes them more affordable but they are not as clean as the isolates or hydrolysates. ISOLATES: Protein isolates, on the other hand, have had more of the non-protein parts removed and contain up to 90 percent protein with fewer non-protein nutrients. For instance, whey protein isolate is about 86 percent protein (90 percent dry weight). The amino acid profile is one of the determining factors when checking the quality of your protein. To make its as simple as possible, look for leucine-content call-outs on the product label. Leucine, an essential branched-chain amino acid, critical for muscle-protein production, appears to help maximize the mechanisms that “trigger” or stoke muscle-protein synthesis, resulting in strength, power, endurance, and size development. Look for at least two grams of leucine per serving (scoop). For a whey protein powder the math is easy, a 25-gram protein claim would yield around 2.5 grams of leucine since whey protein is roughly 11 percent leucine. Keep in mind that casein and soy contain less leucine, about eight percent. In general, go with the brands that have been around for at least three years. This way, you can be somewhat assured that they are selling a quality product. Price is often determined by quality of the ingredients, but also by advertising dollars spent. Look at the serving size – it should be around 22 grams. If it is less, the product is overpriced. From there on, figure out the cost per serving; 40 cents would be a fair price. If you want protein powder, buy protein powder. If you want creatine, get that. Do not buy a product that lists 247 ingredients and has only microscopic amounts of every one. Lastly, even the best protein powder cannot fix a mediocre diet! Next post: Sugar is evil! -or did the Feds make America fat?? ?